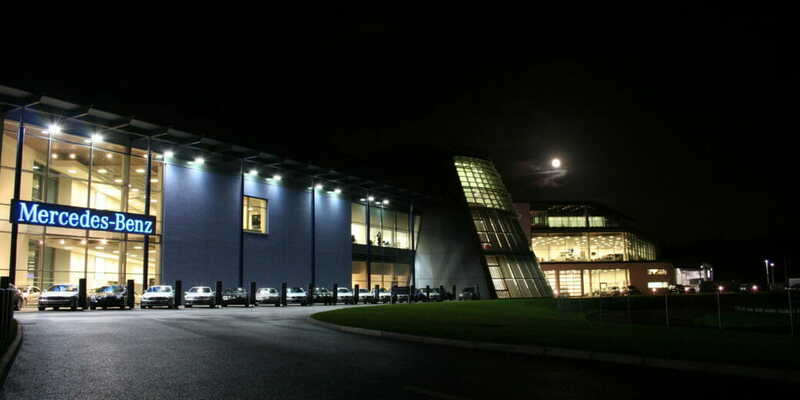 Mercedes-Benz World is the UK’s flagship retail and customer experience centre for Mercedes-Benz. 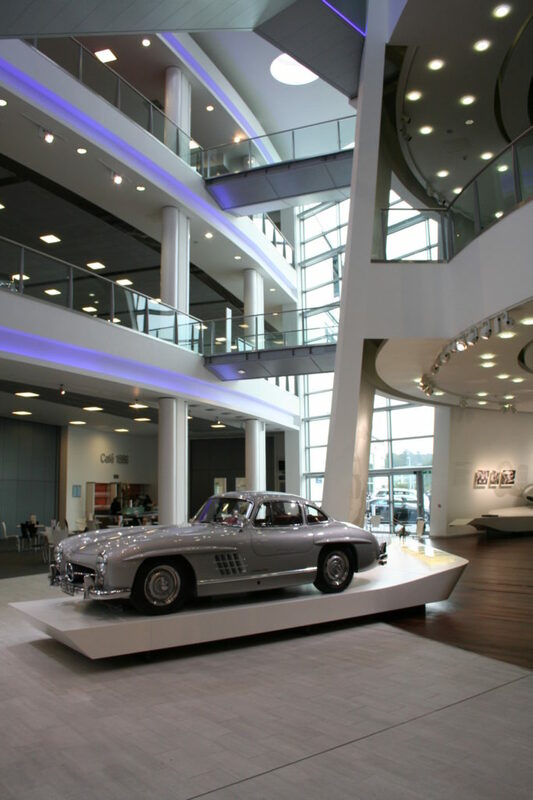 DKA were appointed to design and coordinate the fit-out of this showcase Mercedes-Benz attraction located within the historic Brooklands racing track in Surrey. 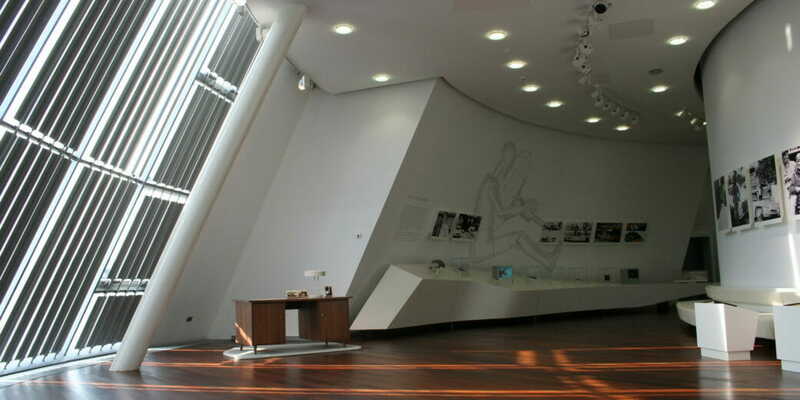 The building includes display areas for all Mercedes-Benz models, temporary and permanent exhibition spaces, conferencing facilities as well as interactive display zones alongside workshop and maintenance facilities. 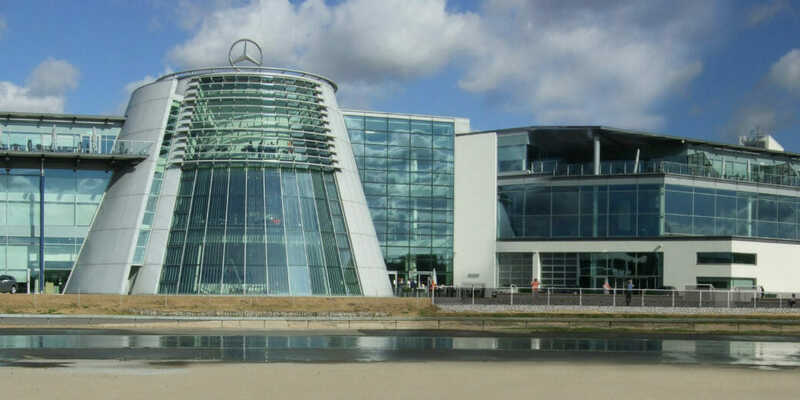 The building is also the venue for a ‘Unique Day Out’ where visitors can experience all aspects of Mercedes-Benz, from driving experiences on the purpose-built handling circuits, to attractions such as interactive films and special installations through which the public can learn about Mercedes-Benz from past to present. Since completion of the original fit-out, DKA has continued to work on the site on several adaptions and internal alterations to reflect the client’s changing business requirements. 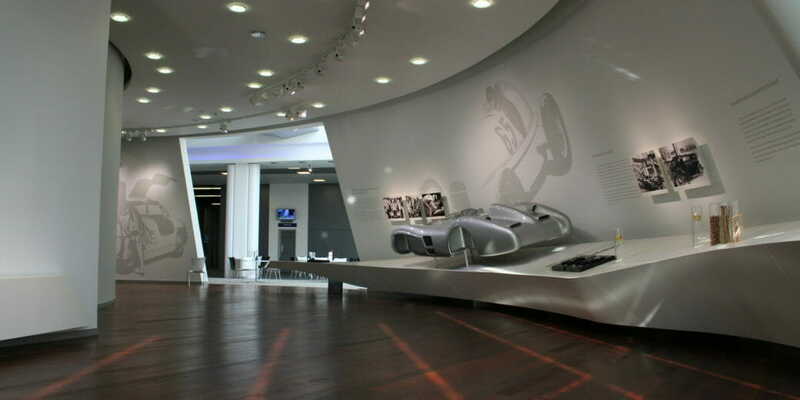 These include the AMG Performance Centre for their premium brand, bespoke reception desk designs and security pavilions. For the ‘New Driver Experience Lounge’ and ‘Little Learners’ Circuit’ (an indoor electric track for kids’ parties) we designed a calm and relaxing area where drivers could prepare for (or recover from) a high-speed adventure. With our knowledge of the building and the branding we continue to help the client adapt the building to suit new public facing or administrative requirements. Since opening in 2006/7 over 50,000 corporate covers have been delivered from two kitchens at MB World. 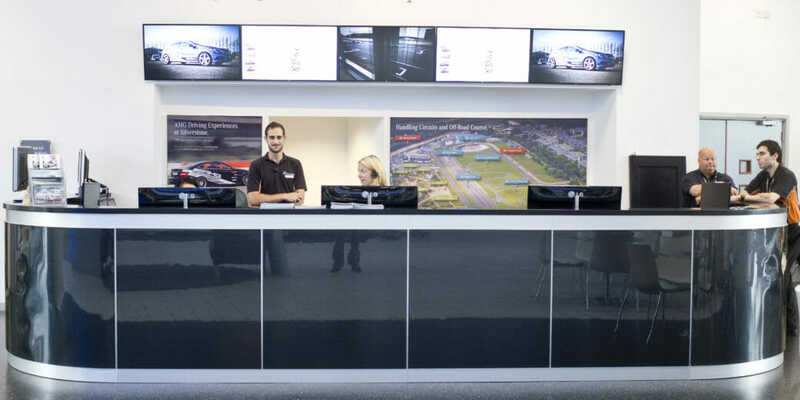 We helped the client extend these facilities to allow further growth of the Mercedes-Benz World events production business and increase efficiency and safety in the catering operation. The extended kitchen doubled the existing floor space, providing additional storage and preparation space, and the opportunity to develop event menus. The restaurant dining area was also enlarged onto an adjacent terrace. The design included a ‘theatre kitchen’ creating an exclusive area for up to eight people to enjoy. The design drew inspiration from the Mercedes-Benz 300SL Gullwing, which is displayed in the area opposite the restaurant entrance. DKA’s role included liaising with catering specialists, coordinating M&E adaptations and ensuring brand consistency and quality. Externally, we designed a raised spectator viewing terrace for the wet skid circle handling circuit, located very close to a visible section of the original Campbell Circuit which is a scheduled ancient monument. Our design solution employed stone gabions and a discreet steel mesh balustrade set in to an existing bank, so that its overall height and impact on the Campbell Circuit was minimised. 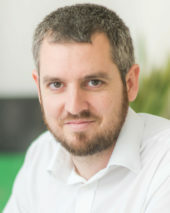 In not objecting to the proposals, English Heritage acknowledged that ‘the proposed development would comprise a limited, well-designed and relatively insignificant intervention’. 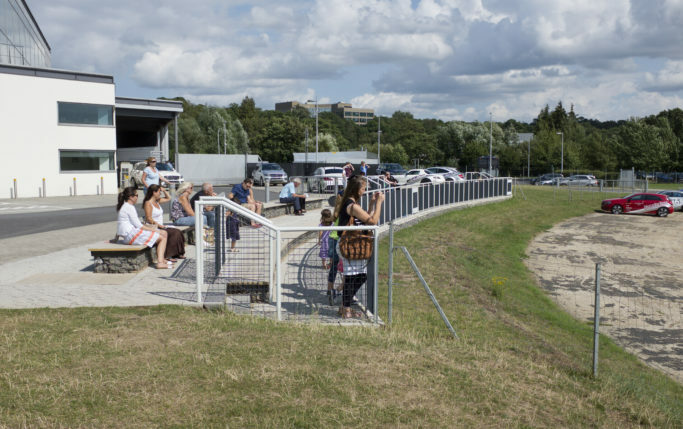 The spectator terrace is well-used; the Mercedes-Benz Silver Arrows Display Team regularly attracts a crowd of up to 200 people during event days and school holidays. 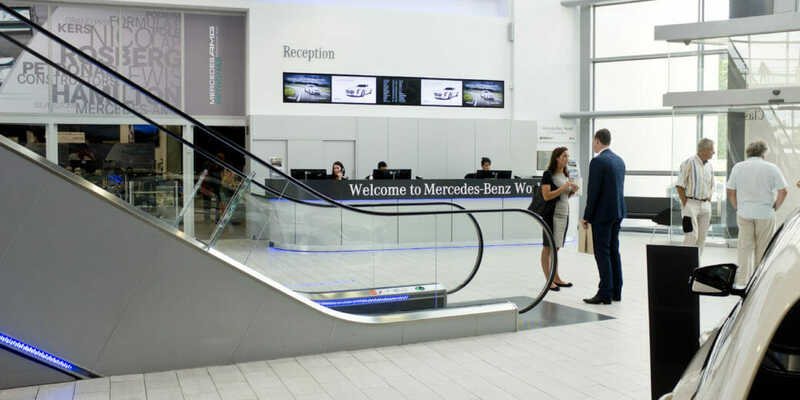 Working at Mercedes-Benz World has given us a unique opportunity to help a client establish a major retail centre and continue to adapt it over time. 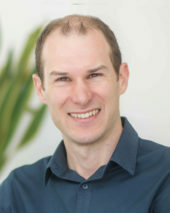 Despite being a very modern building, the site has historic significance, so the designs must involve consultation with planners and conservation officers. Even through multiple internal and external changes, re-branding and new signage, the building still looks fantastic and the experience for the customers is unrivalled.